Hi Pierre, thanks so much for your fantastic review. We hope you enjoy your stunning new kitchen! I have worked with Tracey at Kitchen Mania Milford on a number of Projects now and she is amazing to deal with... very professional and helpful. Hi Lyndsay, thank you for your amazing review. We loved working with you & we hope you enjoy your dream kitchen for many years to come! Thank you for choosing Kitchen Mania. Hi Lorna, thanks for your great review and recommendation - we always love to hear positive feedback about our staff and our high standard of service. Thank you again for choosing Kitchen Mania. Hi Raymond, thanks so much for your fantastic review. We appreciate you have a choice when it comes to kitchen companies and we thank you for choosing Kitchen Mania! Hi Brenda, thanks so much for your fantastic review. We think your new kitchen looks amazing too! 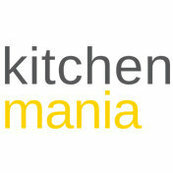 Thank you for choosing Kitchen Mania, we look forward to working with you again in the future. I have been meaning to write to you guys for a while to say a huge thank you for our amazing kitchen! Hi Angela, thanks so much for your fantastic review. We think your new kitchen looks amazing too! Thank you for choosing Kitchen Mania. Please pass this feedback up through your ranks and to Martyn who project-managed the two kitchen's we recently had fitted to our Remuera home. Hi David & Julie, thanks so much for your fantastic review. We look forward to working with you again in the future!